Aria is easily one of the most gorgeous properties in town. Situated in the heart of the Las Vegas Strip, the hotel’s exterior looks more like a skyscraper in a metropolitan city. Additionally, if you’ve ever walked through the hotel, the interior architecture is simply jaw-dropping. Are you ready for this? 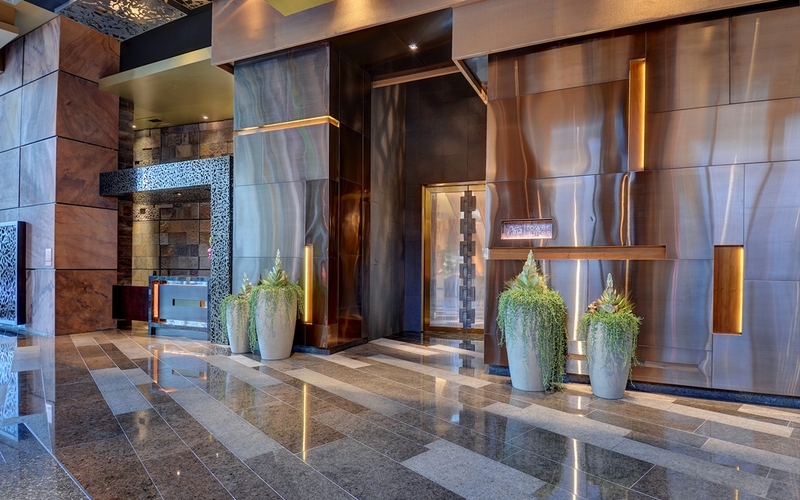 Aria’s Tower Suite lounge entrance itself has us whistling. Photo courtesy of MGM Resorts International. This Vegas hotel announced its addition of the new Tower Suites and we’re pretty stoked. This collection features 258 suites and fine amenities like its own Tower Suites lounge, curbside greeting, priority taxi line, an in-room welcome amenity and special turn down service. And when in Vegas, we really should make time to stop and smell the flowers: All rooms have an in-room floral arrangement to brighten and jazz up your mood. The private check-in lounge has a separate entrance in the hotel lobby. Guests can start their vacation on a great note with complimentary beverages and snacks from 7 a.m. – 10 p.m. There is also a concierge service for your convenience. We could sit in here all day and just gaze at our surroundings. 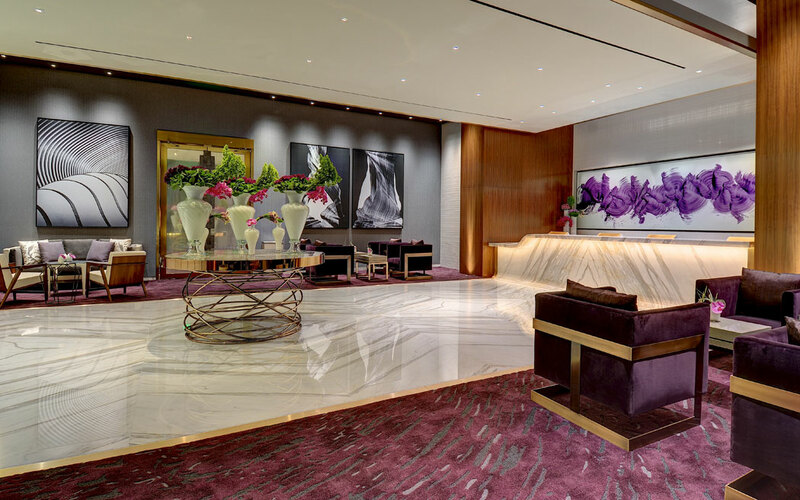 Aria’s new Tower Suites lobby, photo courtesy of MGM Resorts International. In the meantime, we’re going to admire this Tower Suites lobby. The black and white artwork complements the plum and fuchsia tones so beautifully. Can their designers come and decorate our living rooms? We’d love that.